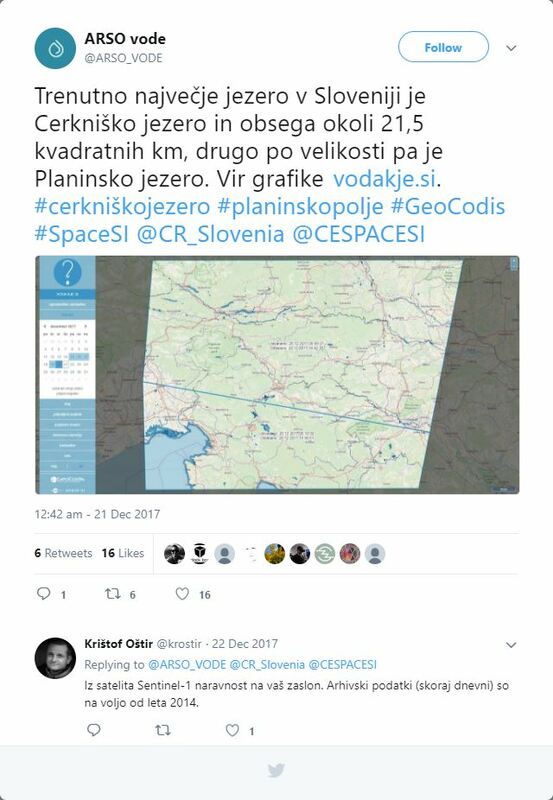 GeoCodis is a small start-up cofounded by Matjaž Ivačič and Andrej Beden. 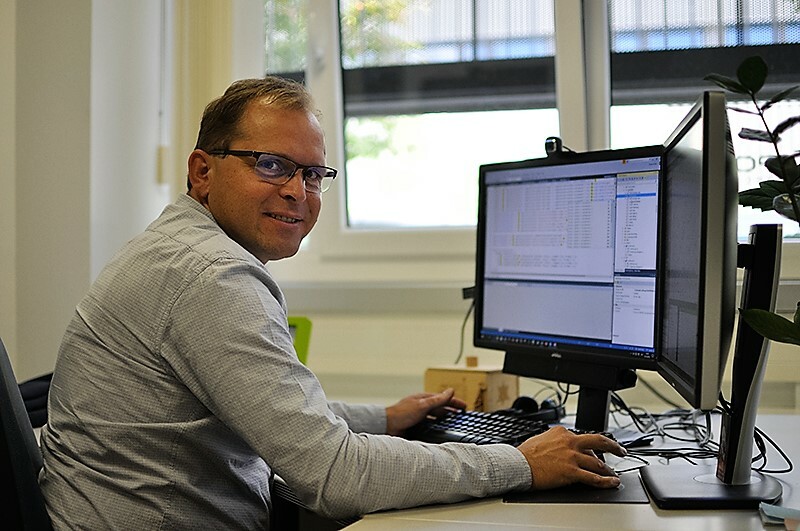 We have more than 20 years of experience with development, support and consulting in geoinformatics and related fields. 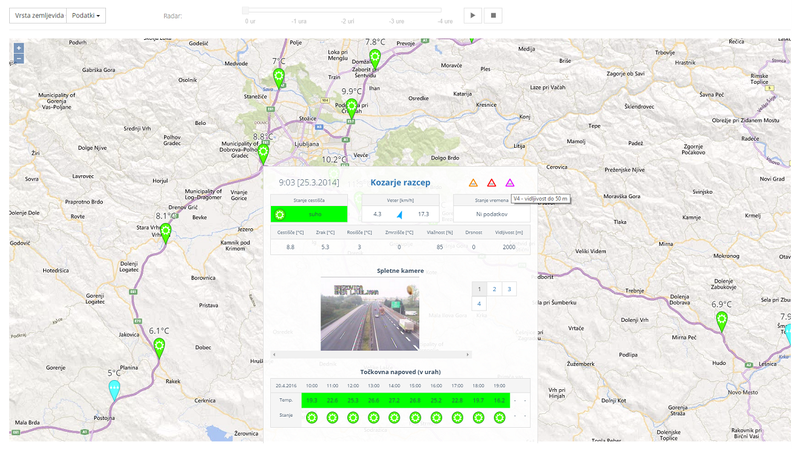 Our focus is developement of web-based geoinformation systems. 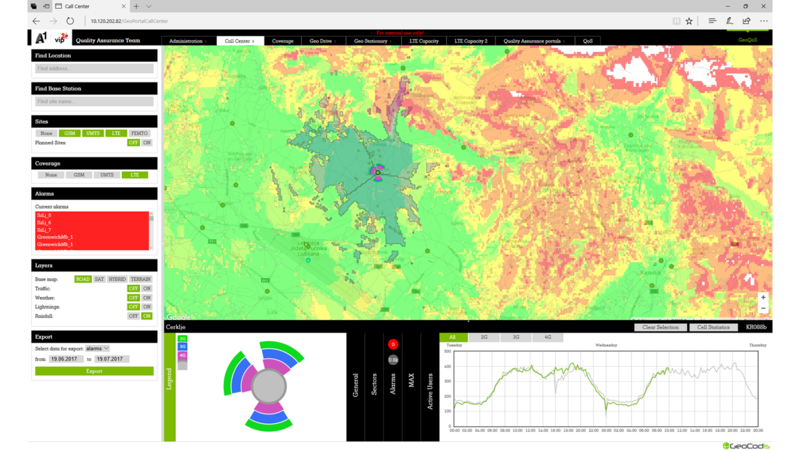 We can help with using geospatial data so your company or users can save resources and energy while getting additional insight. We are present in Slovenia, Western Balkan and Africa. Among the companies and organizations that already trust us are mobile operators Simobil (Slovenia) and Vip Mobil (Serbia), Port of Koper (Slovenia), motorway company DARS (Slovenia) and Ministry of Water and Environment (Uganda). Using modern technologies we develop up-to-date user-friendly applications. Before we start developing we thouroughly study our clients’ business processes to find custom-tailored solutions for their needs. 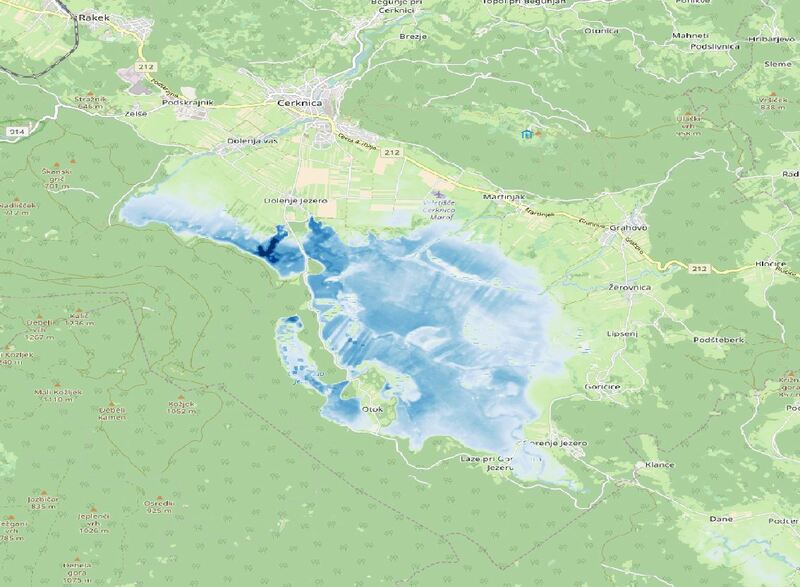 We create and use easily usable and accessible web maps. 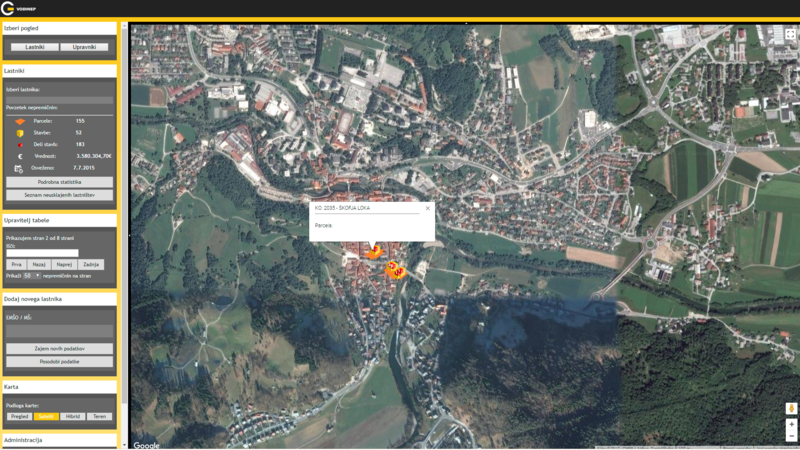 Our solutions are based on Google Maps API or OpenStreet maps in combination with powerful mapping library OpenLayers. 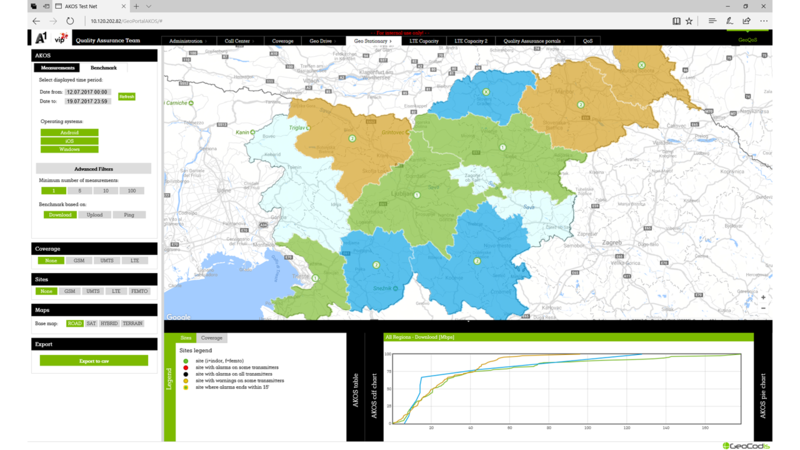 Due to our rich experience we can help with choosing the right GIS tools and customize them to fit seamlessly within clients new or existing systems. 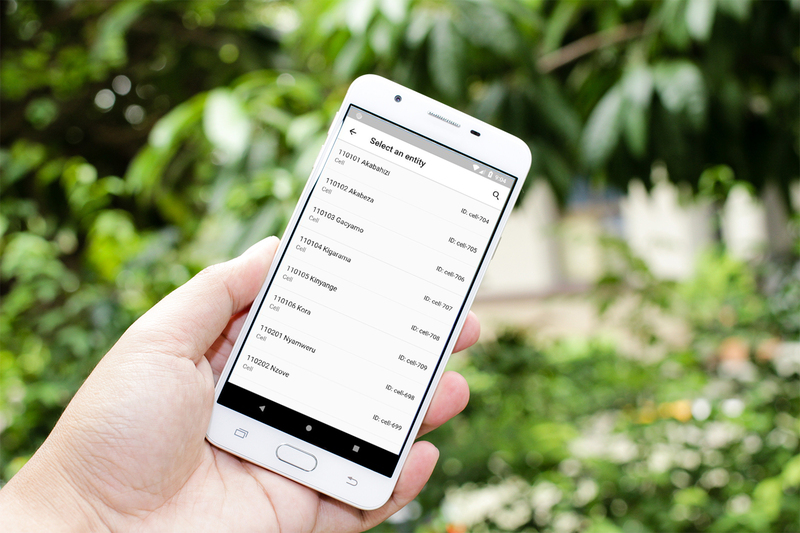 We don’t offer limitless number of functionalitites – only those that will do the job. 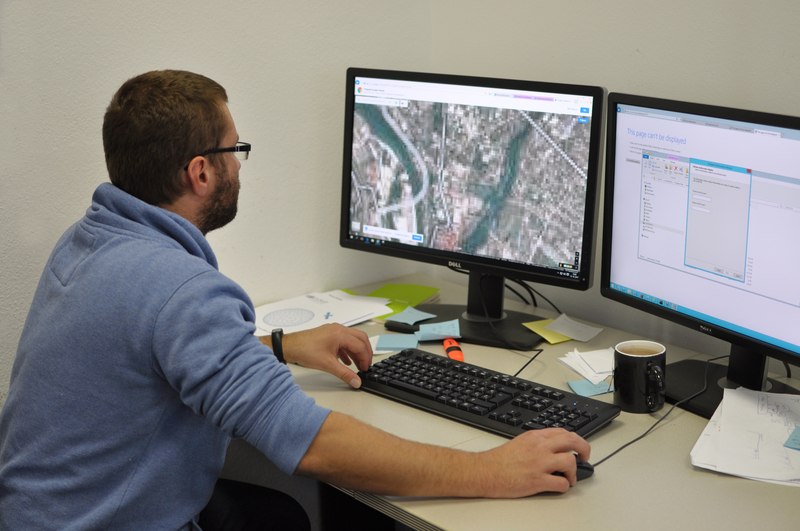 We offer consultations and specific trainings to customers who need to integrate GIS into their business process. Our solutions help businesses to develop a competitive advantage by providing consulting, information technology and services for better understanding and analysing spatially distributed business data. We integrate different data sources and provide added value to public and customer’s data. Quality information and spatial structures is essential to support our clients and critical business needs. 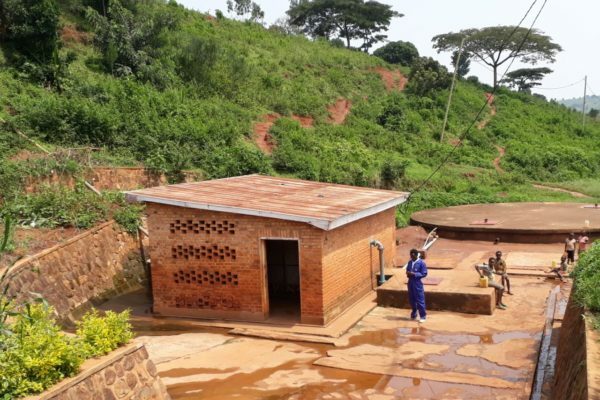 The Government of Rwanda decided to develop a new WATSAN MIS that includes also Hygiene information. 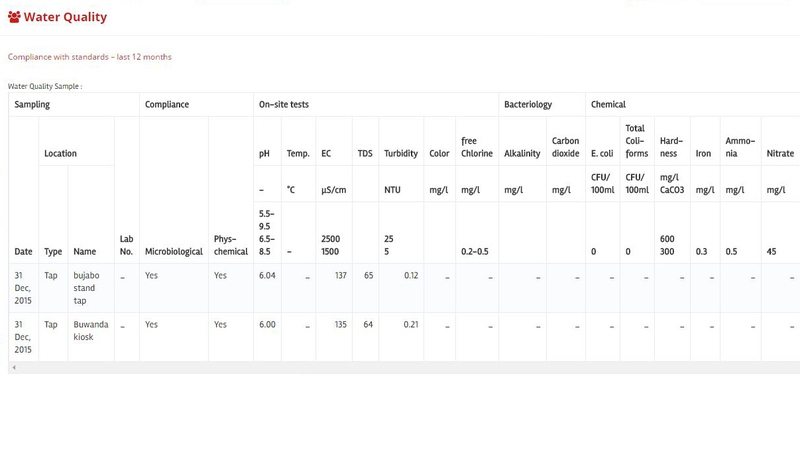 The new system is Web-based and thus accessible from anywhere and at any time, without delay. Given the key role of the Districts in water and sanitation development this is a key feature to support decentralized planning and monitoring. 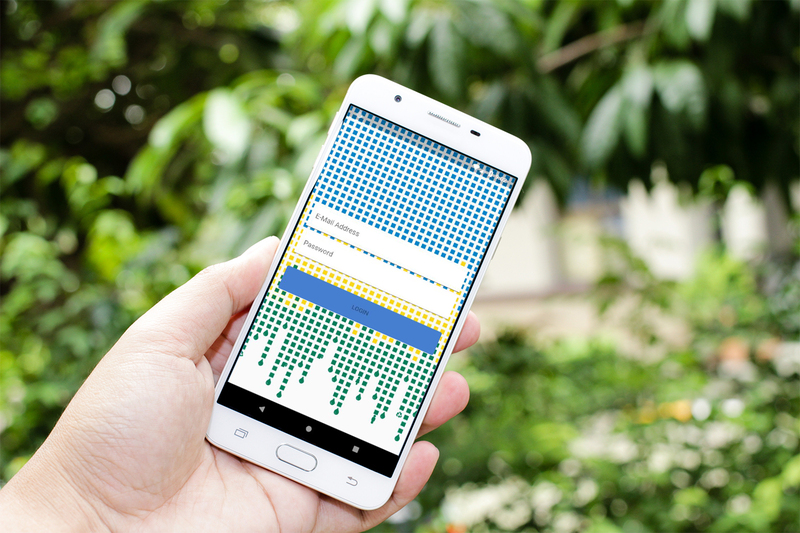 GeoCodis, together with its partners, developed a web and android system for collecting, analyzing and reporting of field data that are needed for following Sustainable Development Goals, in particular SDG 6 that ensure availability and sustainable management of water and sanitation for all. 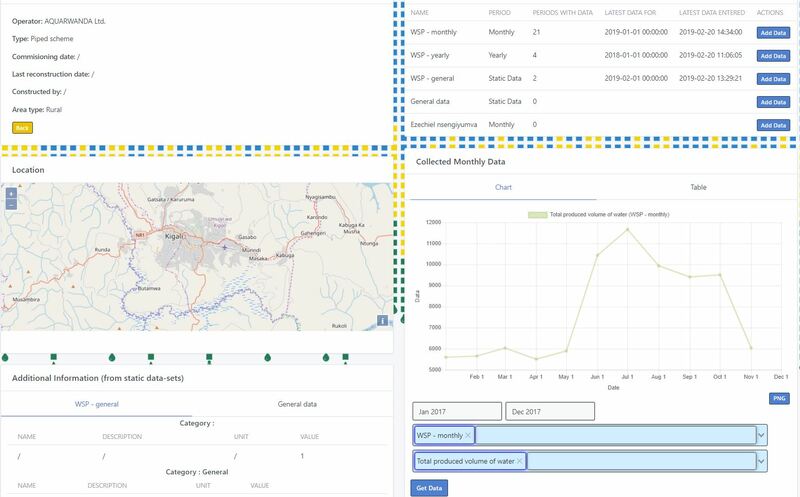 The system allows to configure and collect data on a village, cell, sector and district level and possibility to aggregate data into a higher hierarchy. Districts and province for example. The system is ready for roll-out in the spring of 2019. 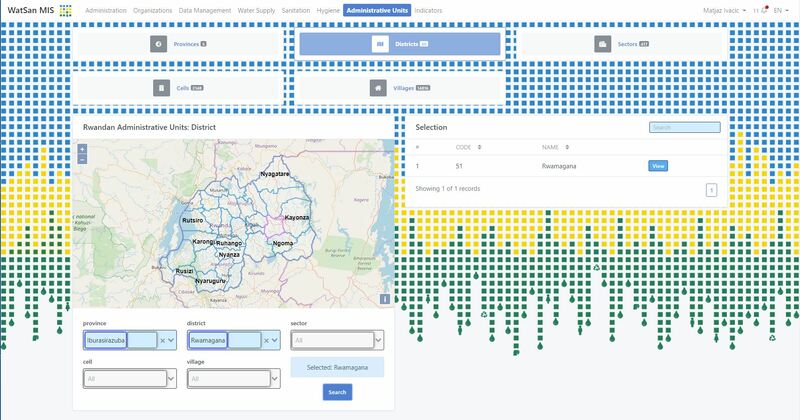 The Ministry of Water and Environment in Uganda and the Austrian Development Agency have initiated the development of a web-based solution to improve the accuracy and reliability of information on rural water schemes. 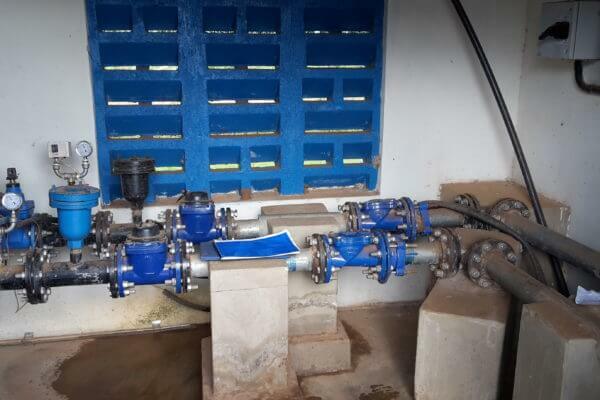 Access to a safe water supply is one of the basic human rights, and too many Ugandan citizens still do not have safe and easy access to water. 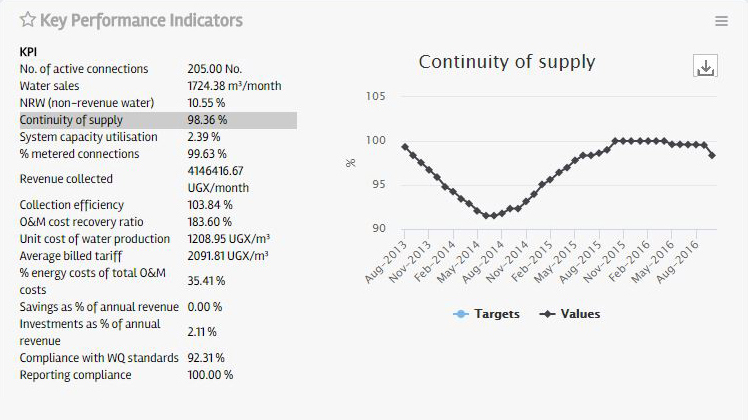 GeoCodis and its partner in Uganda, We Consult, are developing a web-based Utility Performance Monitoring and Information System (UPMIS) which uses internet connected technologies like smartphones and network computers. 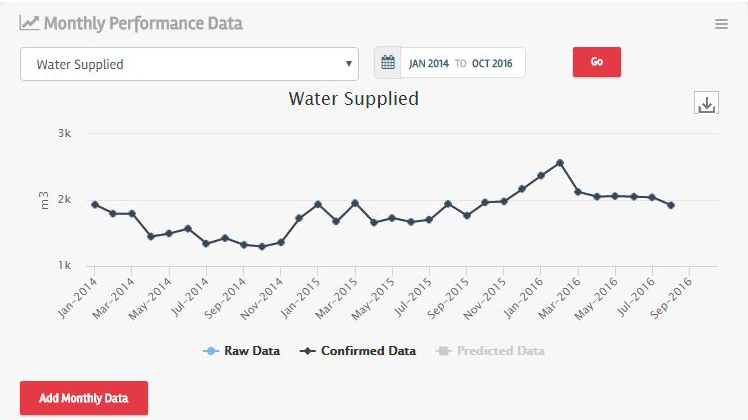 UPMIS is becoming an important tool for collecting data about the conditions of water schemes and their monthly operations using SMS, mobile phone or web formats. 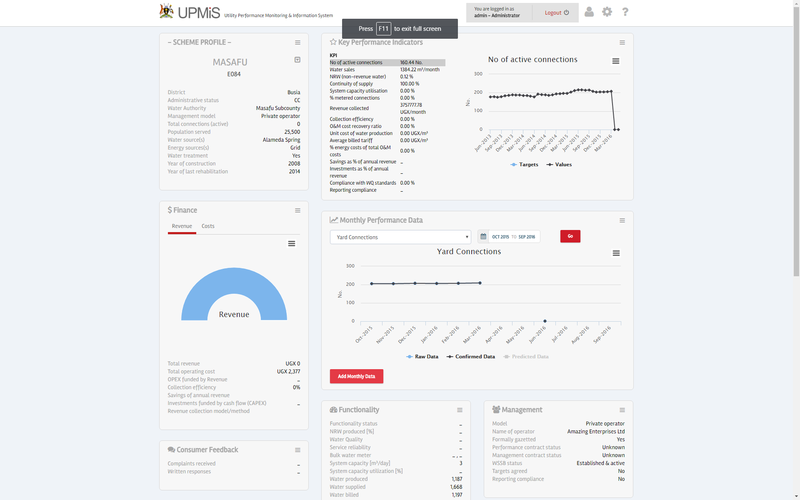 UPMIS is a high performance monitoring, reporting and analytical solution for use at a regulatory, operational or utility level. 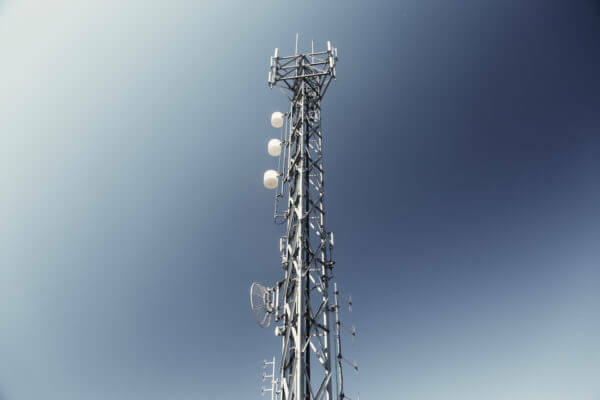 Quality of Services (QoS) is a mechanism in the mobile phone industry which controls the performance, reliability, and usability of a telecommunications service. 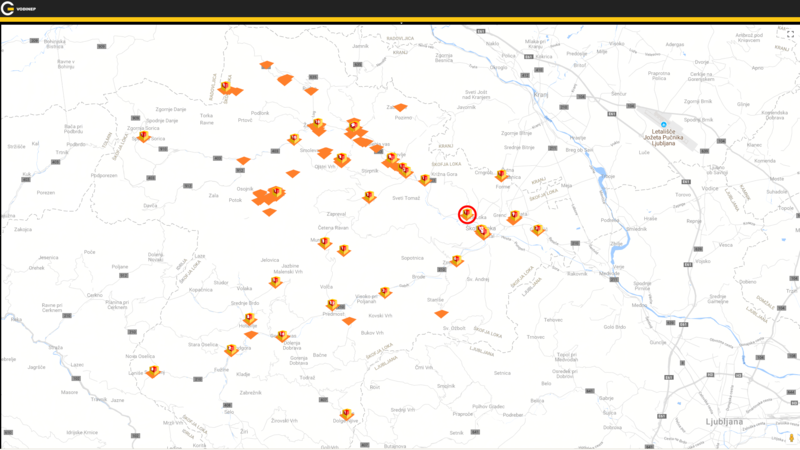 For these purposes we have developed the GeoQoS portal for the visualization of important parameters on which depend QoS. 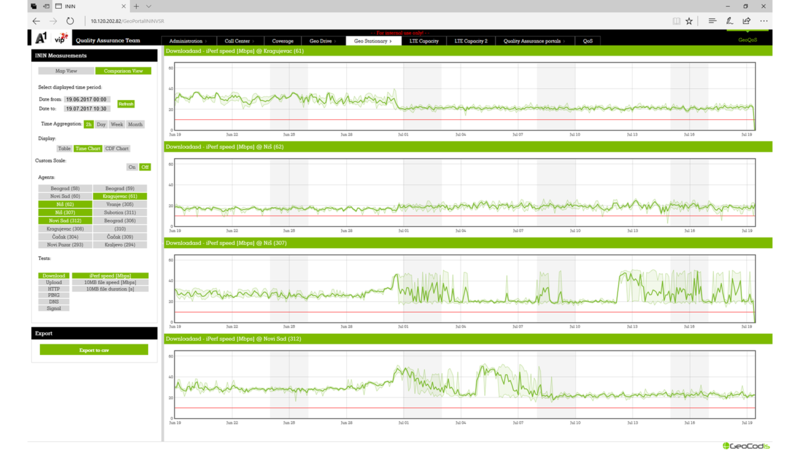 The main users of the portal are specialists responsible for connections, service response time, losses, the signal-to-noise ratio, cross-talk, echoes, interruptions, frequency response, loudness levels, etc. 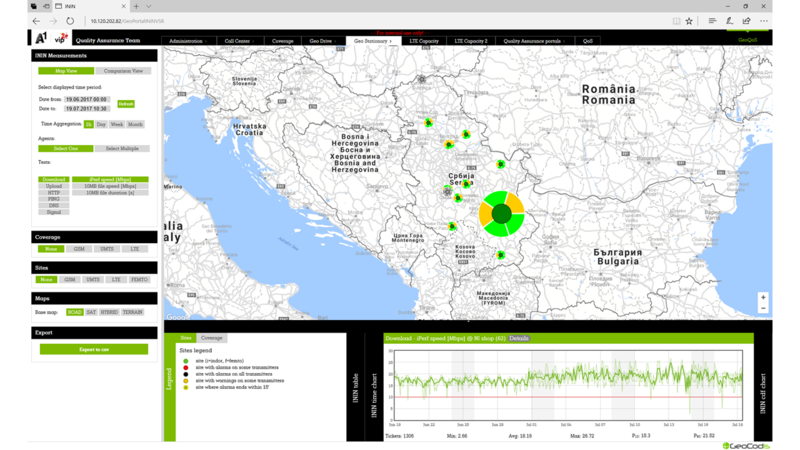 Other users of GeoQoS are managers, call centre operators, marketing employees, and so on. 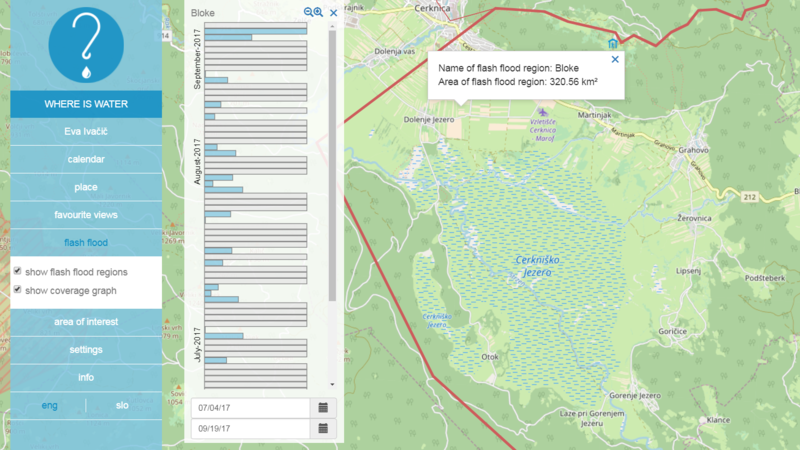 The GeoQoS application combines technical data on cells and base stations with Google Maps and the visualization of different parameters. 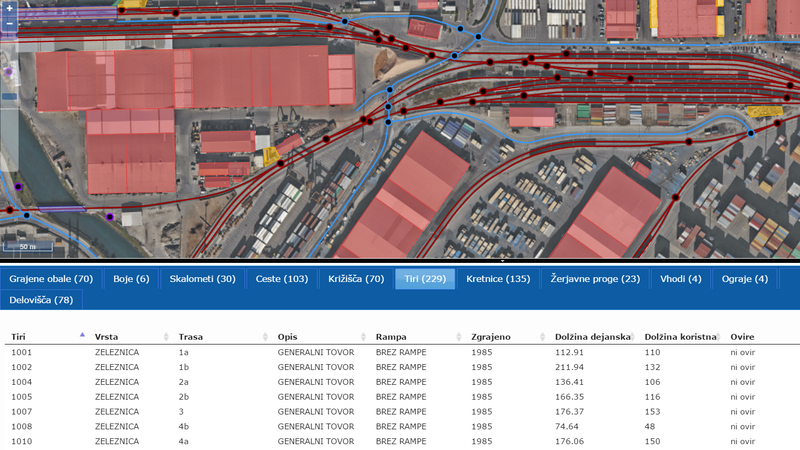 For Port of Koper we developed web-based GIS portal for overview of port infrastructure. 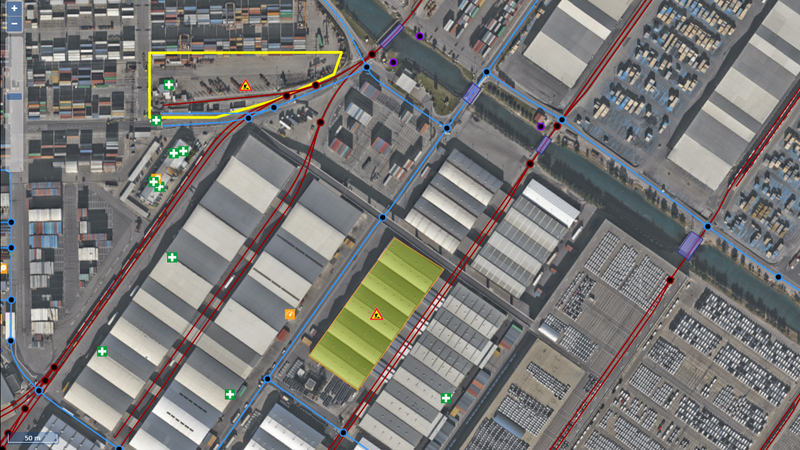 Users can simply and efficiently find location and other data about infrastructure of equipment present in the port (from rails to defibrillators). Part of the portal offers overview and management of construction and maintenance sites across the grounds. 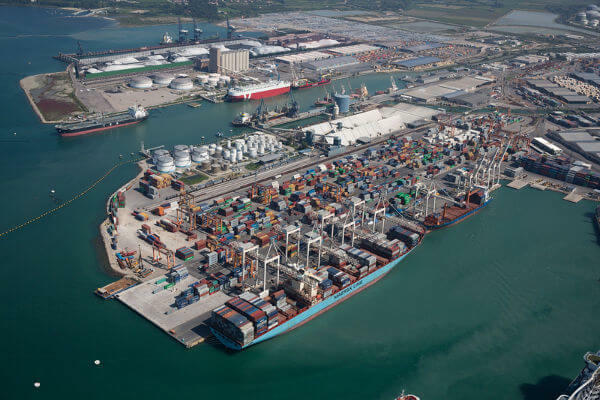 Different departments can be up-to-date on what’s happening in the port. Portal includes different layers of access, displays geolocated data, simplifies the paperwork and makes communication faster. 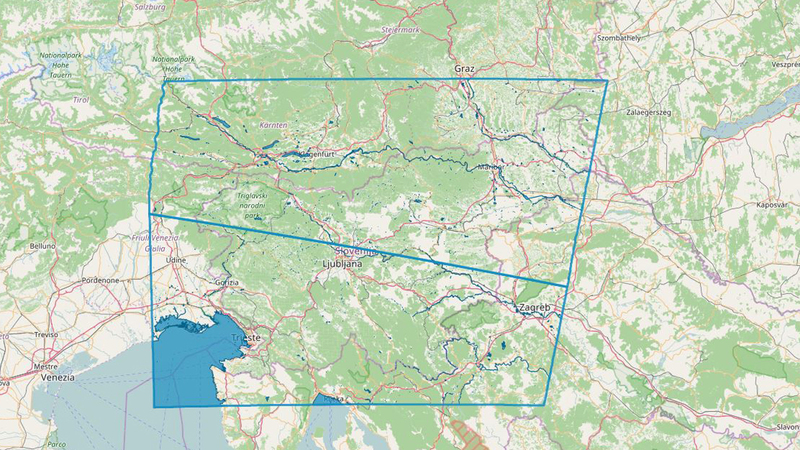 In collaboration with CGS plus we developed part of the application that DARS (Slovenian Motorway Company) uses for management and supervision of Slovenian motorway system. 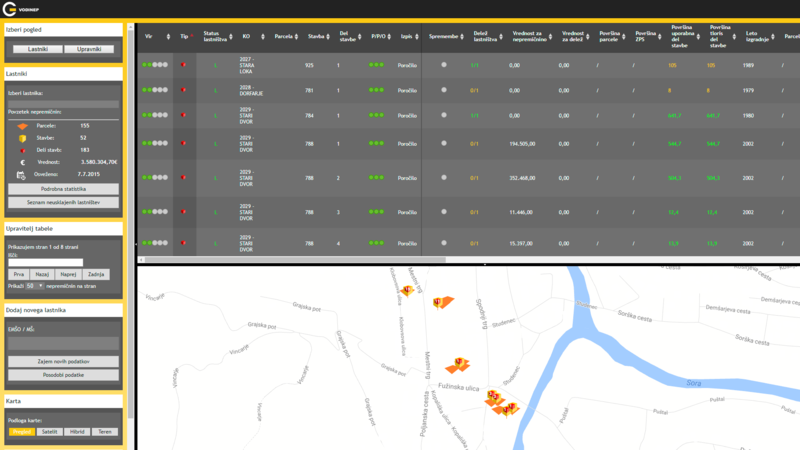 This application offers management of maintenance vehicles fleet as well as overview of current weather and road conditions. It also predicts the road conditions for the next 72 hours. 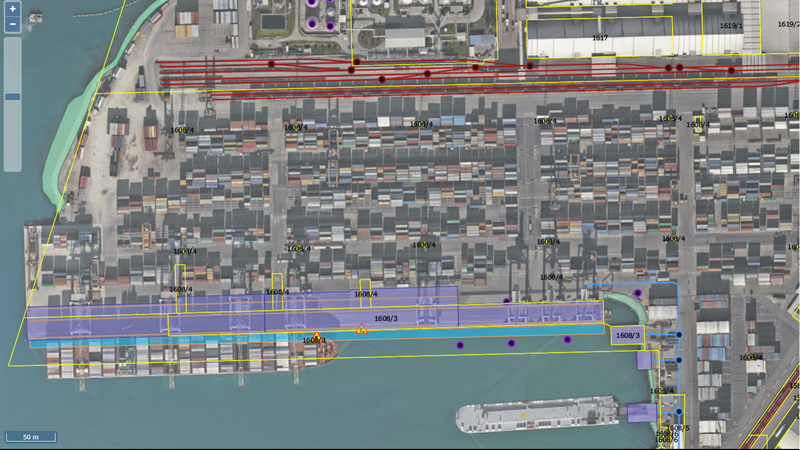 Our part in the project was visualization of big sets of geolocated data. 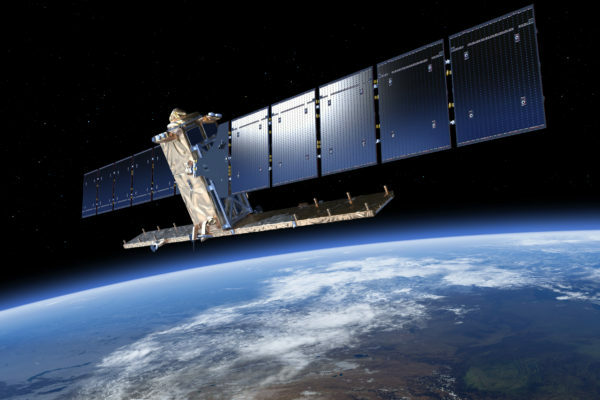 Sentinel 1A and 1B are European radar imaging satellites which supply images in all light and weather conditions. They track many aspects of our environment, including detecting and tracking oil spills and flood areas, monitoring movement in land surfaces, and mapping changes in the land surface. 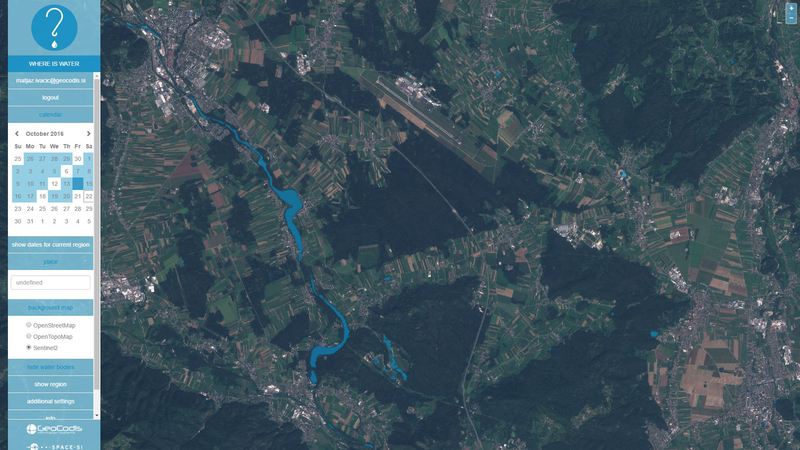 GeoCodis and Space SI are working together to provide services for receiving up-to-date satellite images, for the detection and analysis of water surfaces and flood areas, and to provide the right information for users. 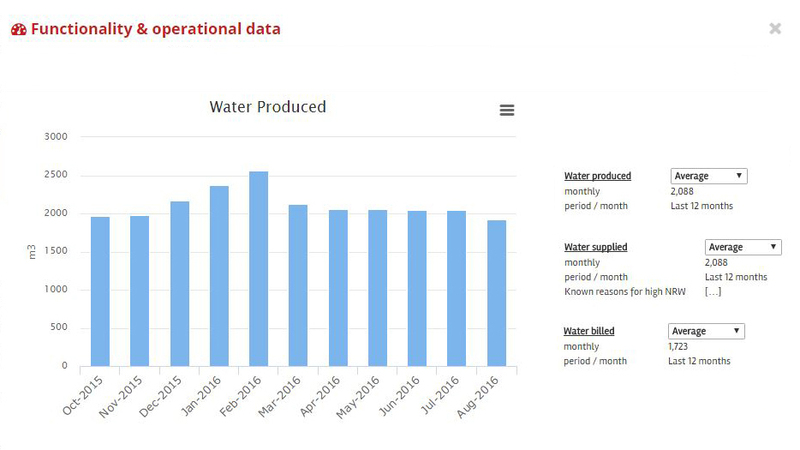 At present we are able to provide information about water coverage for all European countries and a significant area of Africa with a frequency of 3-5 days. 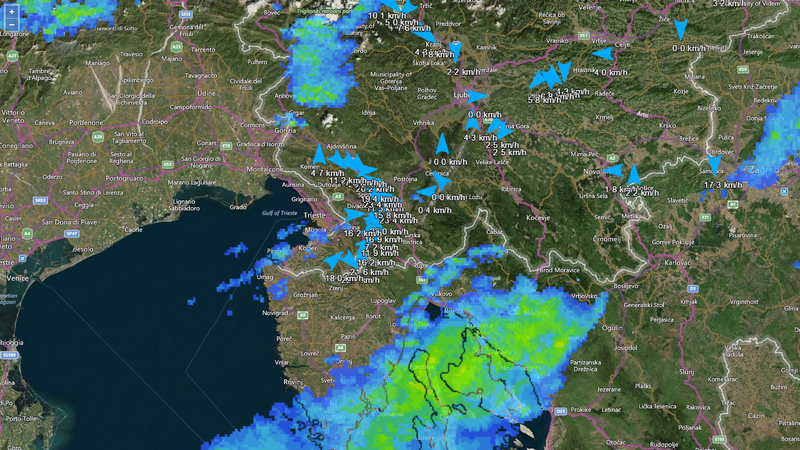 The ground resolution of the data is 10 metres. 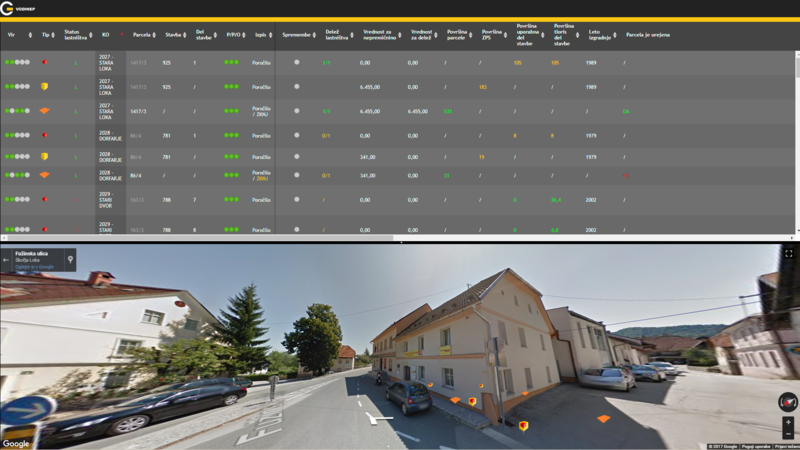 VodiNep is a web based application that offers simple overview of Slovenian real estate records. 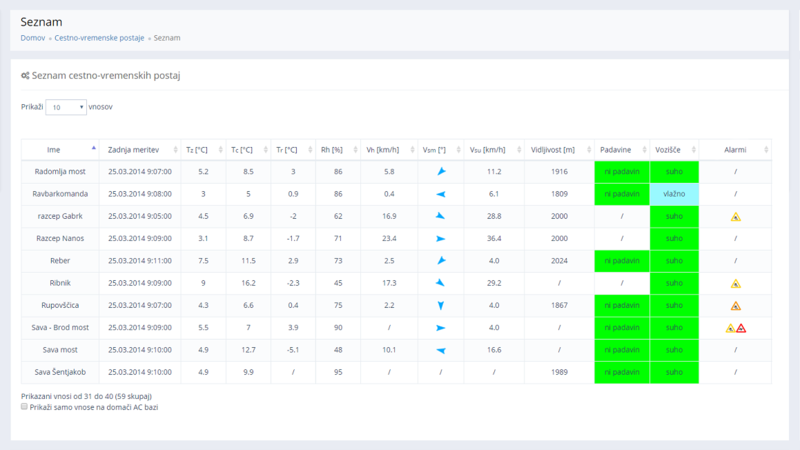 By aggregating and analizying data from different official sources it enables fast and simple diagnosis of legal state of real estate. 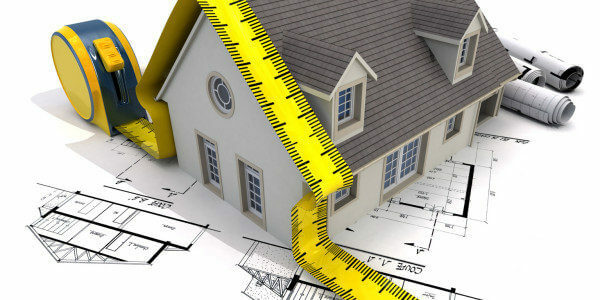 It is used by private owners, building managers and other users. Matjaž Ivačič graduated as surveyor from Faculty of Civil Engineering at University of Ljubljana and later finished his master studies at the same school. 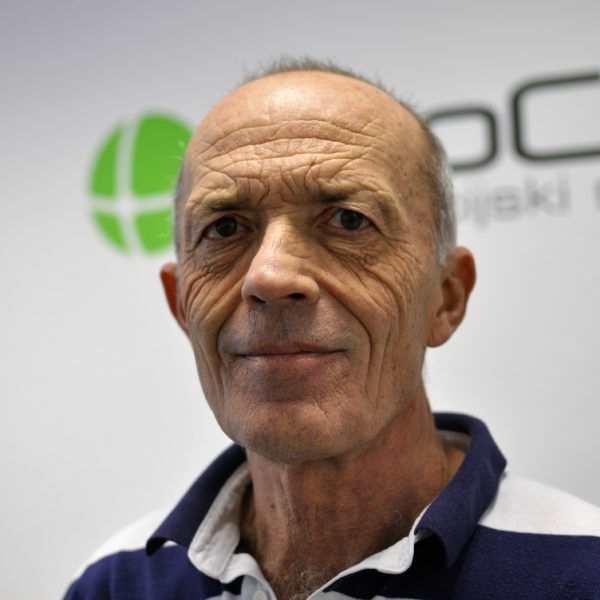 He was one of the first Slovenians in civil engineering to realize the potential of the upcoming digital technologies. 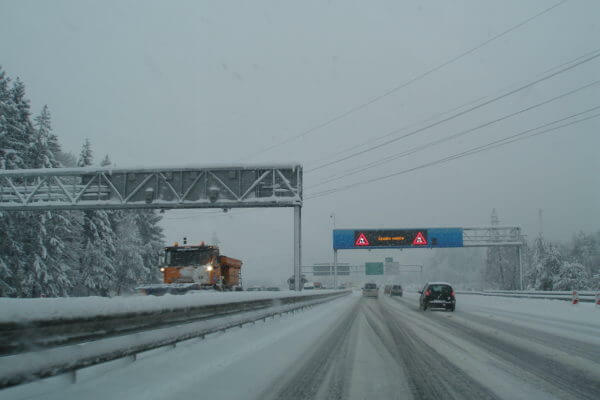 During his career he was working as project manager or consultant on projects for DARS (Slovenian Motorways Company), Simobil (mobile operator) and different ministries. He was also a GIS consultant for UN Human Settlements Programme in Iraq and advisor on the Slovenian Ministry of the Environment and Spatial Planning. 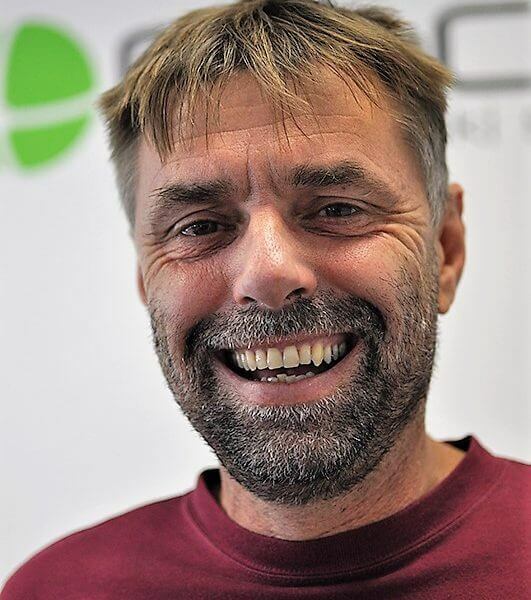 After graduating at Faculty of Civil Engineering at University of Ljubljana he began his career as VBA specialist and transitioned to development of GIS systems in Micorosoft .NET technologies. He has Microsoft Certified Solution Developer certificate. 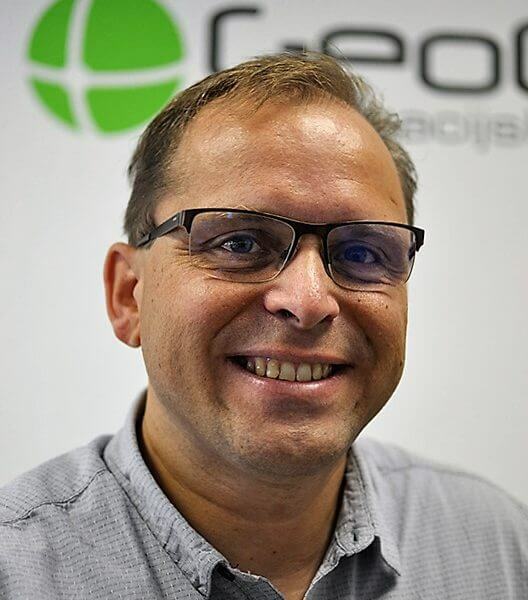 In last 10 years he worked on information systems for DARS (Slovenian Motorways Company), Simobil (mobile operator), Ministry of Defence and many other projects. 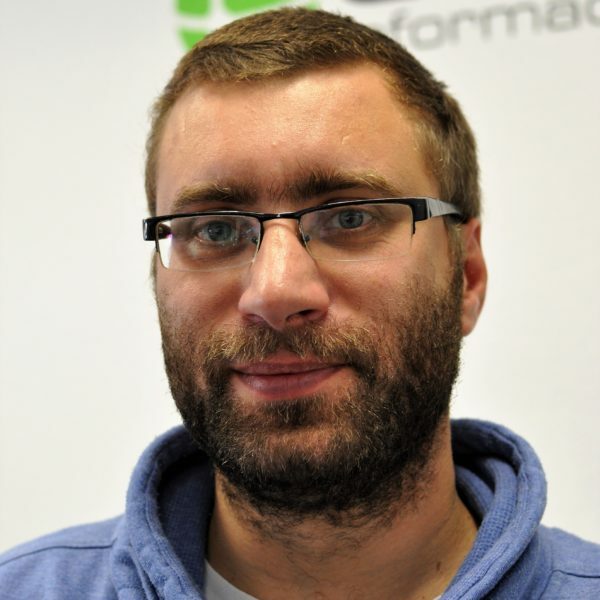 Marcin graduated from Cranfield University, UK, where he obtained MSc in Geographic Information Management. He also has BA in Agriculture, granted by CAH, Dronten, the Netherlands. 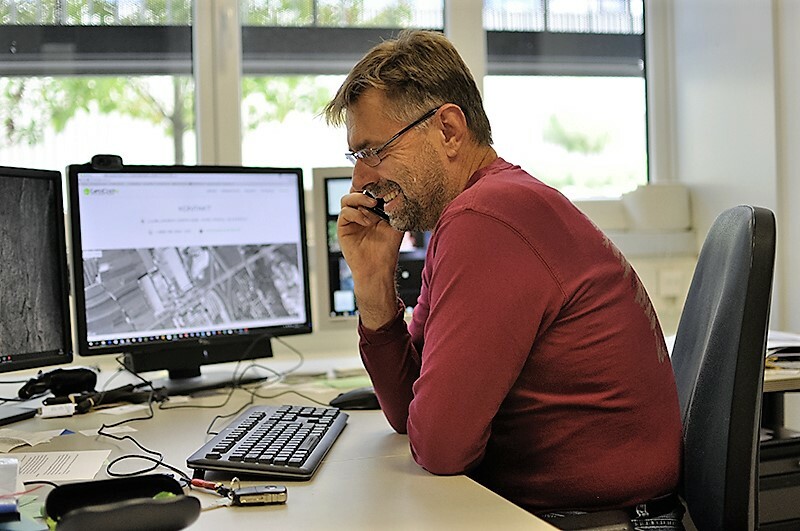 He has almost 10 years of experience in GIS and Remote Sensing, gained during participation in various international projects in Belgium, Poland and France. 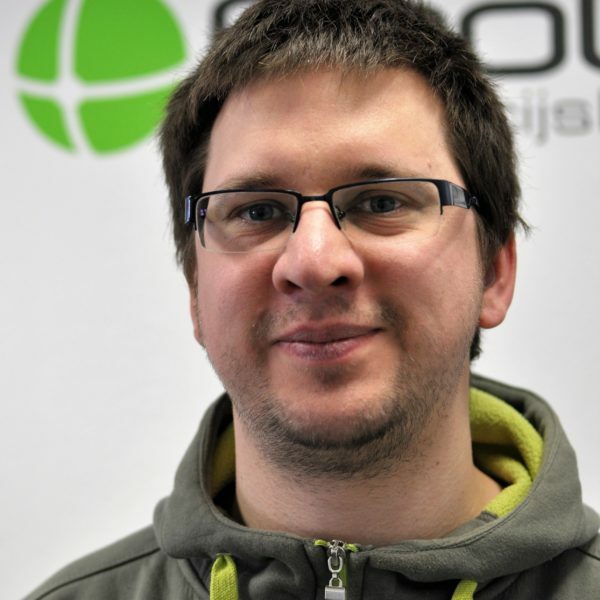 Aljaž is a university graduate electrical engineer.He is currently working on the development and maintenance of software in the company. Nejc graduated from the Faculty of Computer Science and Informatics. 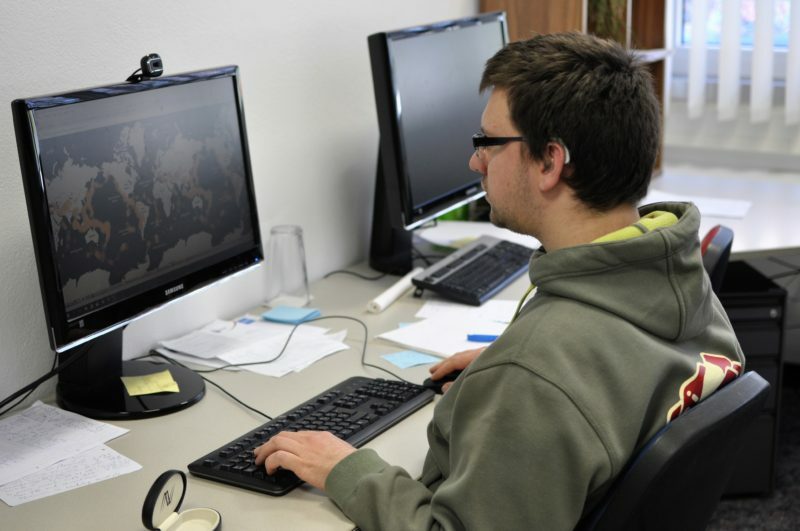 His work includes programing, creation and desig for user interfaces, code optimisation, testing and experimetation. Branko graduated from the Technical College in Maribor. 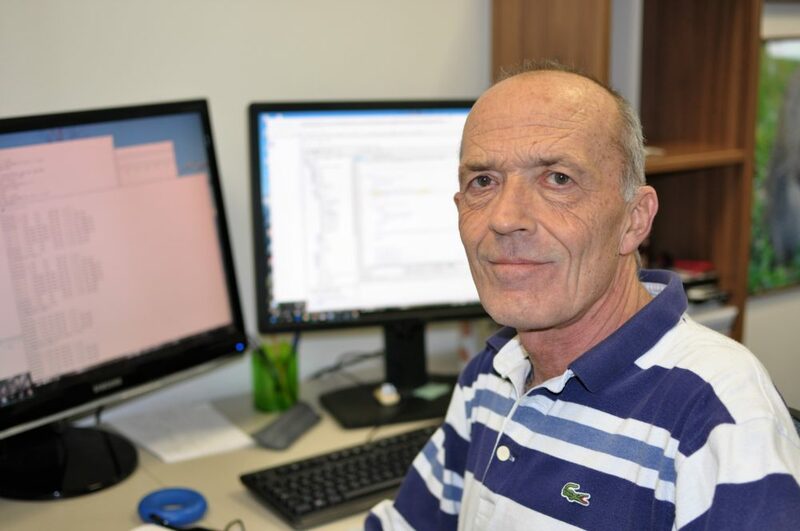 He spent most of his working life in Iskratel on software development for various telephone center generations. 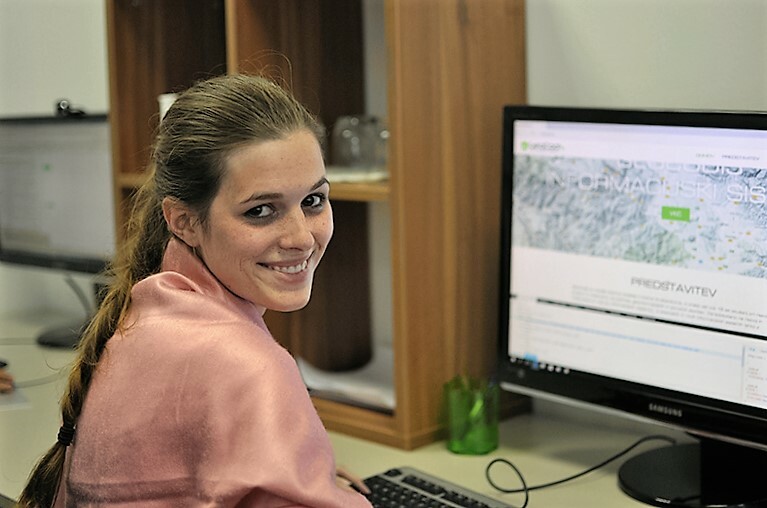 The employment is co-financed by the Employment Service of Slovenia within the framework of the incentive for the employment of older workers. 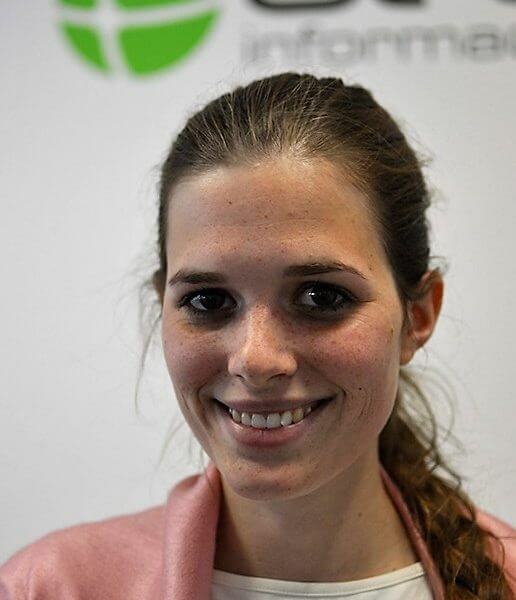 He works on the implementation of the WMS server..
Eva is studying at Faculty of Architecture. She is responsible for great look of our applications.